The The Buffet is a International restaurant inside Resorts Casino Tunica in Tunica Resorts, Mississippi. Nice place. The price for me Monday thru Thursday was 27. Fri was 50. Well worth either. The buffet was good. And the bistro was great,. I've been staying at Resorts since Resorts was Harrah's Casino over 20 years ago. I'm 34 and I can truly say that this casino is okay it does have a pretty decent main bar when there's a band or game going on but it's not much to get fancy for matter of fact I would not. 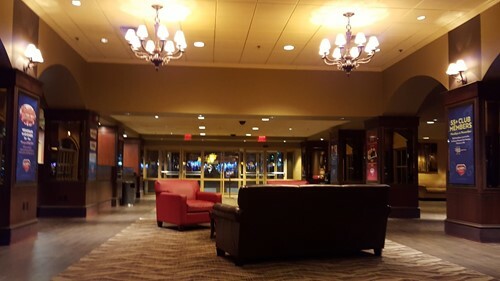 Also out of all the casinos in Tunica it would be the least as far as Hotel stays it has been renovated recently in the last couple of years but not very well I don't know how long it will be open but I still go there especially other casinos acquired by Hollywood. We got a room last minute here. It was very nice and clean. All of the staff were amazing and incredibly helpful as well! It is never too packed when I go here no matter the day and time which can be a good or bad thing. I do enjoy how quiet it is and that I’m not having someone stand right on top of me wherever I try to go but less people seems to be less winning at least in my case it does. They do have a really great buffet on the second floor. All the food is cooked fresh unlike some of the bigger buffets around tunica. This casino has a decent amount of slot machines video poker and Keno but not much else. The staff while sparse are very pleasant and helpful. Just be aware of the often problematic encounters at the hotel check-in desk. Sam, the valet man is very pleasant individual. Treats everything with respect. He is a gentleman! Ms. Carla is just wonderful she goes out of her way to make sure if you need anything that you get it !!!! She, and all the staff are very pleasant at the hotel. The Casino Hosts are just Awesome their 3 of the nicest people you'd ever want to meet? They go above and beyond to make your gaming experience as fun as possible.